I was invited to meet with President Abbas of the Palestinian Authority just before he spoke to the General Assembly of the United Nations. I came to the meeting with an agenda: to persuade him to sit down with the Israelis and resume negotiations without first requiring the Israelis to accept a total settlement freeze. I knew the Israelis would not—indeed could not—agree to a settlement freeze as a prior condition to beginning negotiations, since they had previously agreed to a nine month freeze and the Palestinians refused to come to the bargaining table until just before the freeze expired, and then demanded that the freeze be extended. Prime Minister Netanyahu had invited the Palestinians to begin negotiations with no prior conditions—an invitation that the Palestinians had rejected because the Israelis refused first to impose a freeze. My proposal to President Abbas was to have the Palestinian Authority agree to sit down and begin negotiations before any freeze began, if the Israelis would agree to begin a freeze only after the negotiations commenced in good faith. In that way, the Israelis would get what they wanted: negotiations beginning with no prior actions on their part. And the Palestinians would get what they wanted: a settlement freeze while the negotiations continued in good faith. My plan further required the parties to immediately agree to divide the disputed territories into three areas (that were roughly equivalent to areas already agreed to in other contexts). The first would be those parts of the West Bank that will never become part of Israel, such as Ramallah, Jericho, Jenin and other heavily populated Palestinian places. Israel would agree to freeze all building in that area. The second would be those parts of the West Bank that will definitely remain part of Israel after any peace agreement, such as Ma'ale Adumim, Gilo and other areas contiguous to greater Jerusalem. The Palestinians would agree not to oppose building within that area. 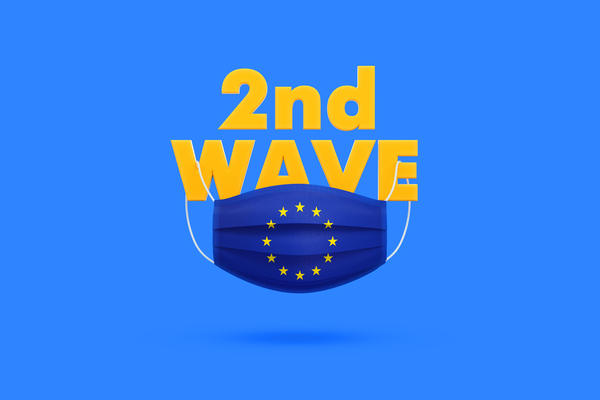 The third would be those parts of the West Bank that are subject to reasonable disagreement as to whether they will become part of a Palestinian state or remain part of Israel subject to land swaps. These include Ariel, the Etzion Bloc and other settlements fairly close to the Green Line. The Israelis would agree to a temporary settlement freeze in that area so long as negotiations continued in good faith. If the negotiations allocated some of that land to Israel, building could continue on that land. I had written an op ed layi-g out my plan, and I brought a copy of it to my meeting with President Abbas. When I showed it to him, he said, "This looks good," and he passed it on to Saeb Erekat, his close advisor. Erekat read it closely and gave it back to President Abbas, who circled the operative paragraph and signed it, "Abu Mazzen." He asked me to show it to Prime Minister Netanyahu with whom I would be meeting several days later. Between the time I met with President Abbas and the time I met with Prime Minister Netanyahu, both delivered their speeches to the General Assembly. Netanyahu reiterated his invitation to sit down and negotiate a peaceful resolution, while Abbas made a belligerent speech accusing Israel of ethnic cleansing and other crimes. He expressed no real interest in negotiating peace. So when I told Prime Minister Netanyahu about President Abbas' apparent acceptance of my proposal, he was understandably skeptical. But he took a copy of the signed article and put it in his pocket, saying he would certainly give it careful consideration. Since that time, Abbas has indicated that he might be willing to sit down and negotiate without a settlement freeze, but only after the United Nations votes on upgrading the status of Palestine. Netanyahu, during his recent visit to France, reiterated a desire to sit down and negotiate with no preconditions. It seems clear that nothing will happen until after both the American presidential election and the Israeli parliamentary elections early next year. When those elections are over, I intend to press both sides to consider my proposal. There are no real downsides for either the Palestinians or the Israelis in resuming negotiations. Everyone knows roughly what a negotiated peace would look like. There would be some mutually agreed upon territorial changes to the 1967 borders, a demilitarized Palestinian state, some military presence along the Jordan River to assure Israel's security, a realistic resolution of the Jerusalem issue and an abandonment of the so-called Right of Return. There would be no immediate resolution of the Gaza issue, so long as Hamas remained opposed to Israel's right to exist. Peace between Israel and the Palestinian Authority is long overdue. The parties have come close on several occasions. Following the two elections, the time will be right for moving in the direction of peace. I hope my proposal will help to facilitate renewed negotiations. Abu Mazen has no interest in a genuine peaceful co-existance with a Jewish state. He is Arafat in a suit, the financier of the Munich Olympics massacre, and a Holocaust denier (his doctoral thesis). His only interest is in more one-sided concessions from Israel of her soveriegnty over more and more of the land of Israel. As for the Israelis, the very notion of any freeze on construction anywhere in the land of Israel implies that the land to which the freeze applies is not part of the Jewish ancestral homeland, but rather some part of a future Muslim-Arab state. The curtain has been pulled back on Oslo, and Israelis mostly realize that it was a sham all along, seeing as the P.A. has never kept a single promise made at Oslo. Dershowitz needs to understand that it is not 1993, and the Palestinian-Arab leadership, which is really Hamas, but also Abbas, have never had any interest in recognizing a Jewish state on any part of Eretz Israel. The dispute has nothing to do with borders or a state of "Palestine." It has everything to do with the destruction of Israel as a Jewish state, and the ethnic cleansing of Jews from "the river to the sea." Abbas and Hamas openly admit this whenever they are asked. Dershowitz refuses to ask. He has been fooled. Alan, I have the greatest respect for you as an attorney at law, and for your unstinting support for the state of Israel. However your trust in Abbas and Erkhat is mindboggling. There can be no peace with those guys. Abbas is a typical two timing Arab. Anytime anyone says "everyone knows" anything regarding this issue, my antennae go way up. The fact is the West has shown a profound and almost stubborn misunderstanding of many things that go on here. There are some tremendously thorny issues that should never be minimized. For example, "a realistic resolution of the Jerusalem issue and an abandonment of the so-called Right of Return" are just two issues that can hardly be circumscribed in words. The proposed settlement freeze in the Etzion bloc, etc. is also problematic. Who determines whether negotiations are proceeding in good faith? And, does anyone seriously think that the descendants of those who were massacred at Gush Etzion in 1948, who returned to build on their forebears' land, are really inclined to be told they must limit their natural growth unless and until the Palestinians also agree not to add another room or a porch for the same period? And just what are the chances of that happening? This proposal is both sensible and well meaning, so it has little chance of succeeding. Netanyahu does not support peace in the terms you propose. Abbas, even if he does support them in principle -- we don't know -- would not risk challenging Palestinian consensus for the very slim chance of getting from Nenanyahu a statelet in the West Bank while giving up the dream of destroying Israel. Consistently, Abbas and Fayad use their Arab language media outlets and their schools to promote the "armed struggle to liberate Palestine," the "right of return," the release of those duly convicted of murdering Jews, and the praise of anyone who murders Jews... let alone the Abbas PHD which advances the notion that Zionists conspired with Nazis in WWII to murder millions of Jews - a PHD which is today used in all PA schools. Why, then, does Professor Alan Dershowitz, one of the leading lights of jurisprudence, take seriously what Abbas or Fayad tells him? And why does Dershowitz react positively to what Abbas, Fayad, or any other leader says to a Western diplomat or to a Western media outlet? Peace" (http://israelbehindthenews.com/bin/content.cgi?ID=2384&q=1), where Dershowitz seems to take statements issued by Fayad and Abbas for Western consumption at face value. How long are we going to deceive ourselves? Time to stop this pretense. There cannot be any peace. Listen to what the Palestinian leaders say in Arabic. There are plenty translations avaliable on Palestinian Media Watch and MEMRI. They are very clear they don't want peace. They want to "liberate all of Palestine," and the peace agreement is just a stepping stone towards that. It would not be wise for Israelis to engage in this farce, nor for America to support it. Why are you doing this to yourself? Why are you running up to the football so the Palestinians can simply pull it away at the last moment... again? The Arabs in Judea and Samaria are no longer getting the kind of support they once did from the US, Europe, and the Muslim world. Egypt belongs to the Muslim Brothers and their influence in the region undercuts Fatah. They can't pay their security staff and their system of education is as irredentist as it ever was. There is no leader for the Arabs in Judea and Samaria who can sign a peace treaty and bring his people along with them in a disciplined fashion. I'm afraid this isn't the time for peace treaties. Our enemy is weak; now is the time to squeeze them for land and for concessions. Shortly after the Yom Kippur war the Arabs got together and developed what has been called the Phased Plan to destroy Israel. In a way it is not much different than what was done by the founder of Islam. That actually makes this plan more acceptable to Muslims. If lies were good and if false offers brought success before, then such actions can be used today. Somewhere I seem to recall that the fellow who first proposed the basic outlines of this plan was Mahmud Abbas. Today his name has changed but his actions are the same. Today he is known as that great moderate statesmen Abbas, the president of the PA - the same person that the world calls a true peace partner. 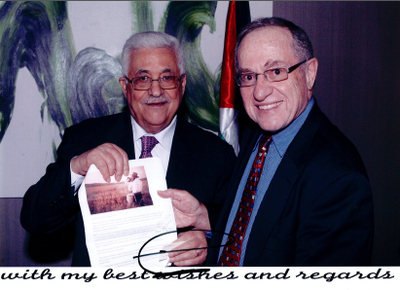 However, Mr. Dershowitz actually shows that Abbas has not changed. The basic principals of the Phased Plan is to use diplomacy and terror to chip away at Israel. This is why Abbas made such a show of seemingly approving what Mr. Dershowitz proposed while attacking Israel's right to exist at the UN; diplomacy with Mr. Dershowitz and terror at the UN. So many people have claimed that the basic outlines are know and all that is needed is to sign the papers. However, the truth is found in an article written several years ago by Benny Begin. Mr. Begin described the negotiations taking place under the auspices of then PM Olmert. As things where progressing the Israelis asked if the Arabs will sign an end of conflict at the conclusion of the negotiations. Their response was not forthcoming. So the Arabs side wants maximum diplomatic success but are willing to offer nothing more than a temporary pause. This is the true fundamentals of what Mr. Dershowitz uncovered, not his fantasies of true peace. Abbas cannot speak for Gaza/Hamas. What peace? Every time Israel sits down to negotiate with the Palestinians it is seen as weakness and a win by the Palestinians and works against a peace plan for anyone. Allan, Palestinians do not think like you, they did not go to the same schools as you, and they did not learn the same values as you. The Arab-Israeli conflict did not go away with the advent of the Palestinian-Israeli conflict. The rest of the Arab world is still involved - in fact complicit - in the Palestinians not having their own state. It must be a 23 state solution. All Arabs must be involved in making sure the Palestinians are treated with dignity and respect. Put that bight eyed, bushy optimism of yours behind something realistic. Did you really believe you had solved all problems with Abba's signature on your 'let's push Israel under the bus again' outline for a solution? Didn't you get a clue for how little respect the man has for you? Personally? Or did your heart leap as you believed you had really done it? Get a clue of who you are dealing with! Each time Charlie Brown attempts a kick-off, Ms. Van Pelt assures him she will not yank the ball away "next time." Alas, Mr. Brown believes her assurances, and is surprised to observe after-the-fact that his reliance was misplaced. Need I say more? Abbas has proven time and time again that he is not interested in real negotiations and, in fact, the realities with which he has to deal with preventing him. It is time to stop the farce and annex at least the areas under Israeli control, areas which belong to the Jewish people without doubt, and build on the settlements as integral parts of Israel. Following the elections, PM (?) Netanyahu needs to do everything in his power to get the knesset to accept the LEVI report conclusions and then revamp the laws (and bureaucracy) of Israel to rapidly allow the rapid and easy settlement of the land. The PM then needs to repudiate the "two-state" solution after reviewing its inherent injustice and its long record of practical failure in a speech to the Israeli people (and the world). I don't understand why Alan Dershowitz and so many others cling to this "two-state" appeasement plan - it is a dangerous fantasy. The Arabs do not want a Palestinian state alongside Israel. They want to destroy Israel. We have never gotten close to an agreement. Those negotiators who thought so were fooling themselves. The Arabs have turned down every offer for peace since the Peel commission in the 1930s, the UN in 1947, and up to Olmert's offer of a few years ago. They have openly announced many times that they will never recognize Israel as a Jewish state. Why doesn't Prof. Dershowitz recognize this attitude, and formulate advice for a more attainable result that would not result in weakening Israel, and would provide enhanced security for its citizens? Alan Dershowitz may be a great man, but he is naive and seems to have the same short memory that many Israelis have. The Arabs have too many times pretended to want peace while giving us terror. In the Arafat, Clinton, Peres, Rabin days, they too often responded to territorial concessions with murder. It is too bad that Dershowitz does not take a global perspective, and realize that we are one tiny front in the global war of defence against jihad. We are also the hope and encouragement of the rest of the world and the example of how a tiny country can stand up against jihad. It is, however, our own fault that Dershowitz and so many others believe in the so-called "two state solution," while the believers in the Koran already have dozens of states. We have convinced the world that peace is possible through concessions - our concessions and not theirs. This is why so many well-meaning people work against us while believing that they are working for us. Since peace is impossible with jihad, and since population transfer is unfeasible for the foreseeable future, the only solution is for us to learn how to rule. We must rule with strength but for the benefit of all. We started to learn how before the tragic mistake of Camp David. We must start again. But learning to rule is a long topic which would require much space, while I hope I have not taken up too much already. and Resident, Kiriat Arba, Hebron, ISRAEL. This shows that Alan D. has next to no understanding of those that oppose Israel. They oppose Israel not simply as a matter of territorial issues, but from the standpoint of their commitment to a totalitarian geopolitical system as decribed by the Quran and modeled by the Hadith, one that simply has no room for non-believers unless they succumb to dhimmitude. Not until these hate driven Islamists who surround Israel become something else (maybe Christians?) will there ever be any sort of normal peace between Israel and her current enemies. Short of such a miraculous event any sort of peace that might exist will be with Muslim dominance and Jewish dhimmitude as it was for hundreds of years in the past. With all due respect, Mr. Dershowitz, you are wrong on all counts. One doesn't negotiate with people who have no sincere interest in negotiations but simply want you dead. Since you have the chutzpah to meddle in Israel's affairs, I'll do likewise. Taking into consideration the whole history of negotiations and relations between Israel and the so-called Palestinians, in Netanyahu's shoes I would forget about any new negotiations. I would decide on terms suitable to me and give them my terms. Instead of land for peace, I would offer "life for peace." You keep the peace and we'll let you live. You attack and we'll kill you. The Muslim mentality cannot understand or deal with Western democratic ways. Islam means submission. Muslims are less confused when given terms and ultimatums. They live under dictatorships. Either theocracies such as Iran or Saudi Arabia or dictators such as Mubarak or Saddam Hussein and Morsi (not quite determined yet - and without Obama the army would never have allowed him to be elected). No, forget about any more negotiations. There is nothing to negotiate. Israel was attacked from all sides and won the war. To the victor go the spoils. Israel must decide what is in their interest and then give them their terms. Period. Love it! Great soundbite. Mind if I adopt it? Alan, you are whistling in the dark. Any Palestinian leader, any leader, will share Sadat's fate should they reach a settlement with Israel. Arafat knew this. It's why he betrayed Bill Clinton in 2000. Islam is purchasing friends and influence. Why should they go halfway when they believe that Western leaders will give them the whole thing if only they are patient?